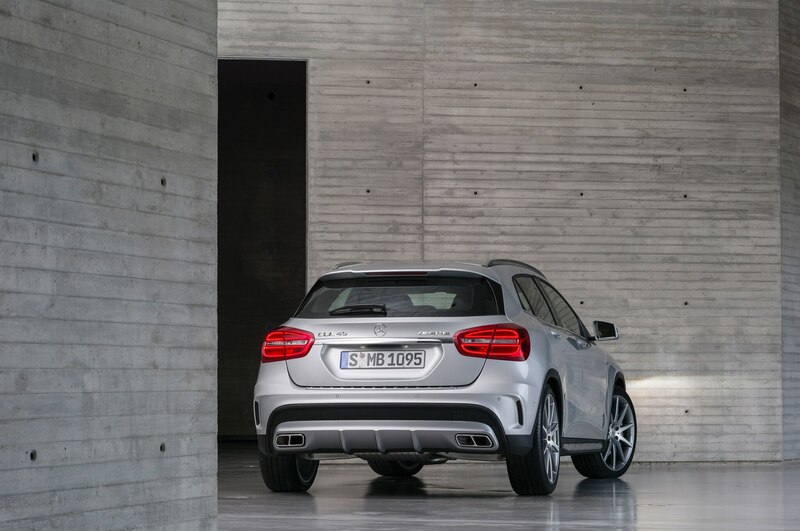 Your prescription for wagon fever. 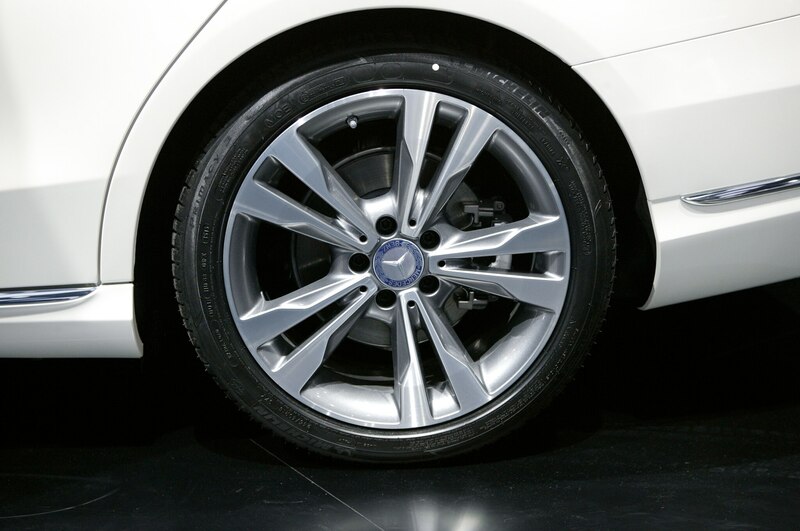 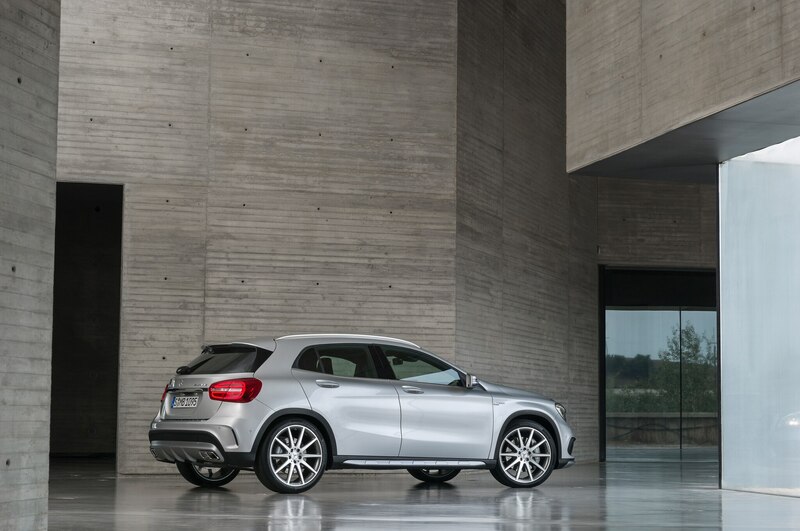 We know you’re itching with wagon fever. 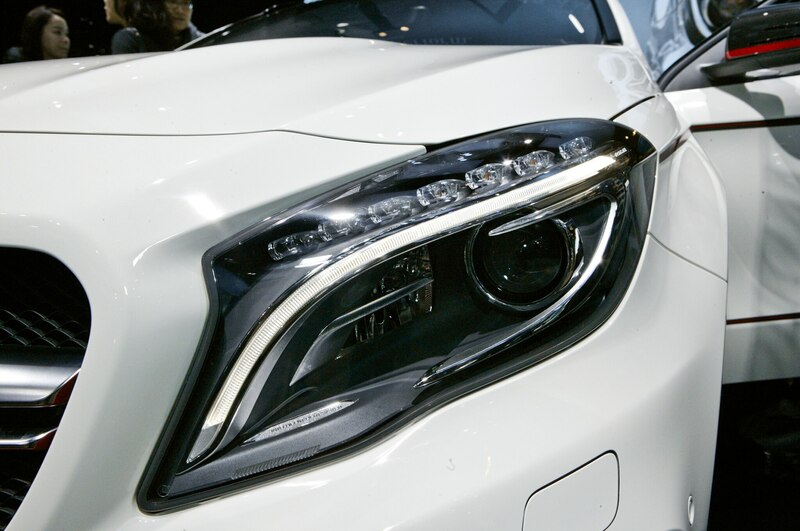 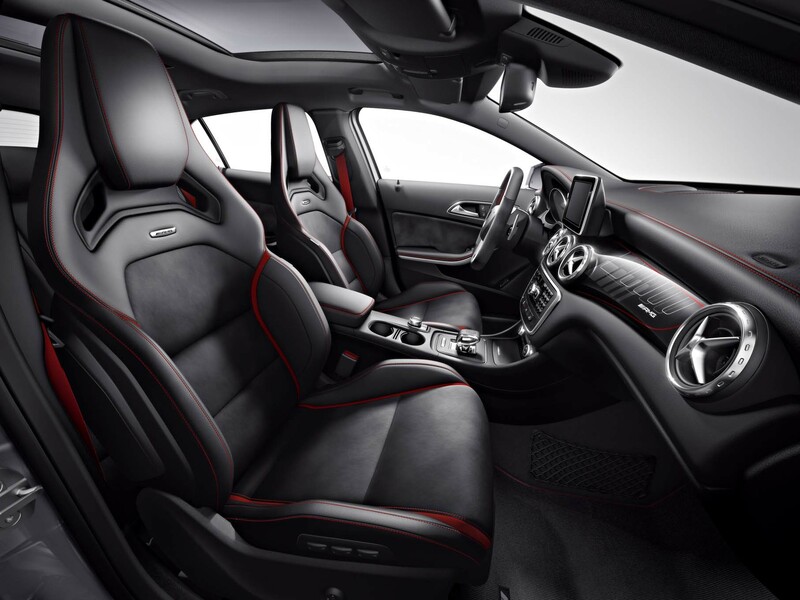 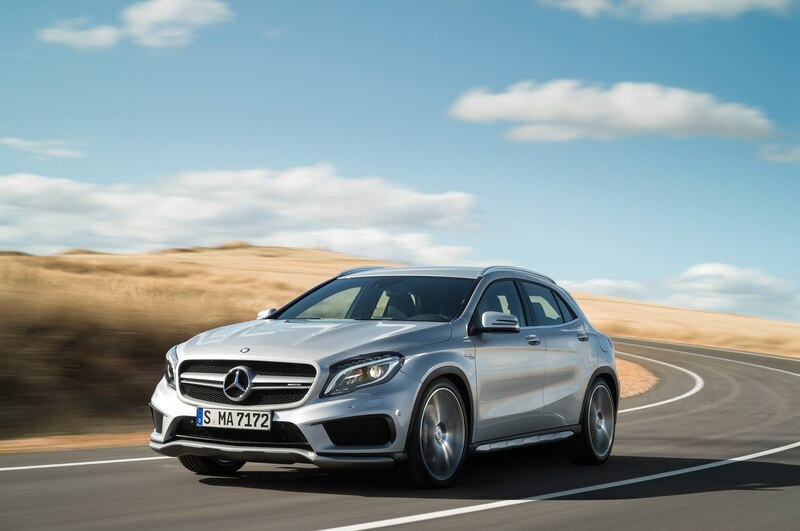 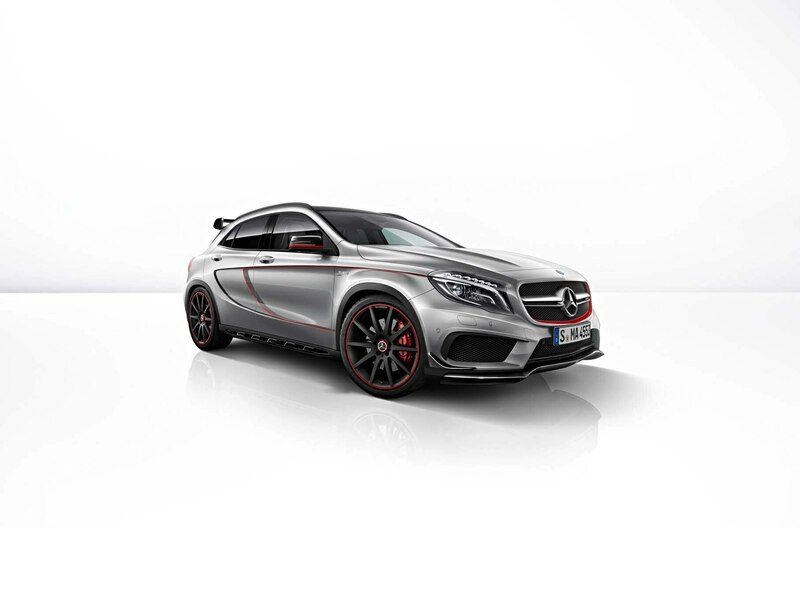 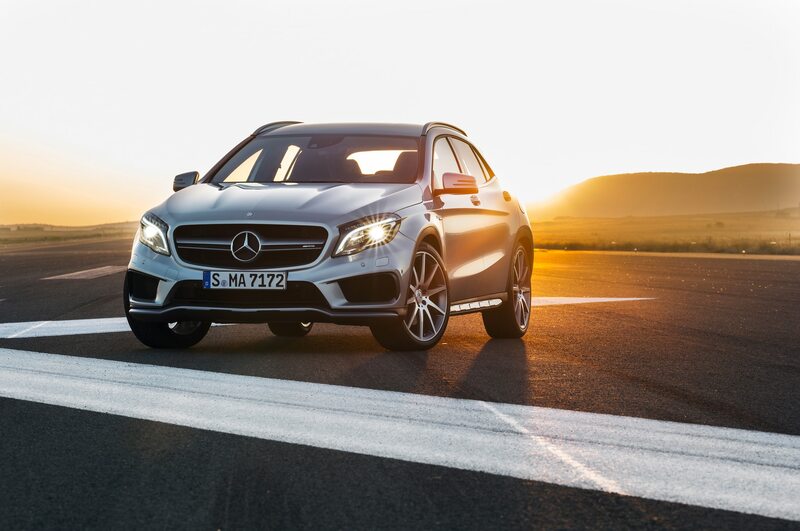 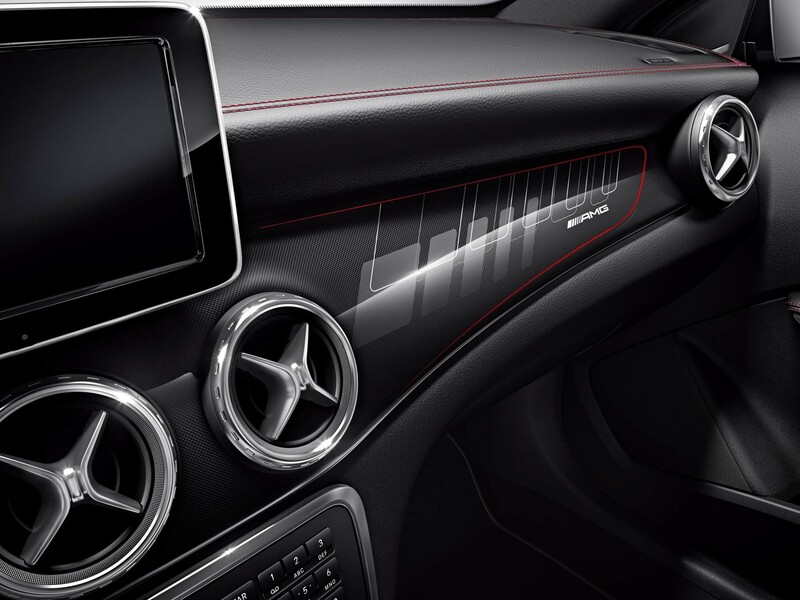 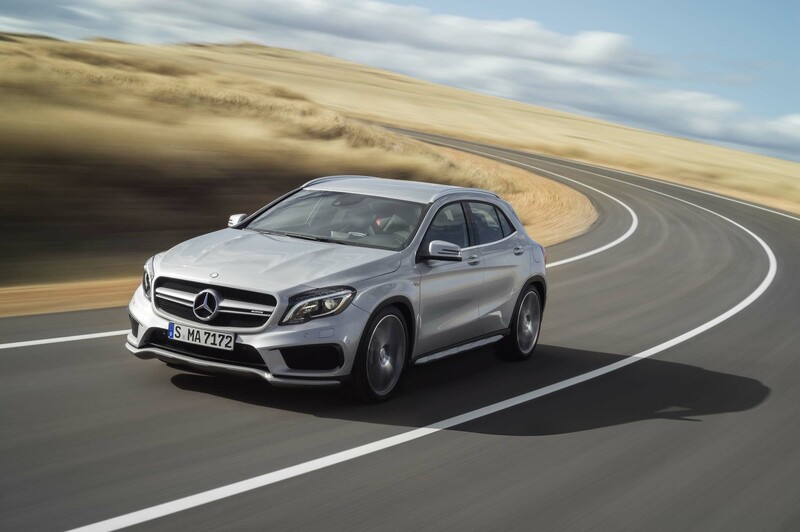 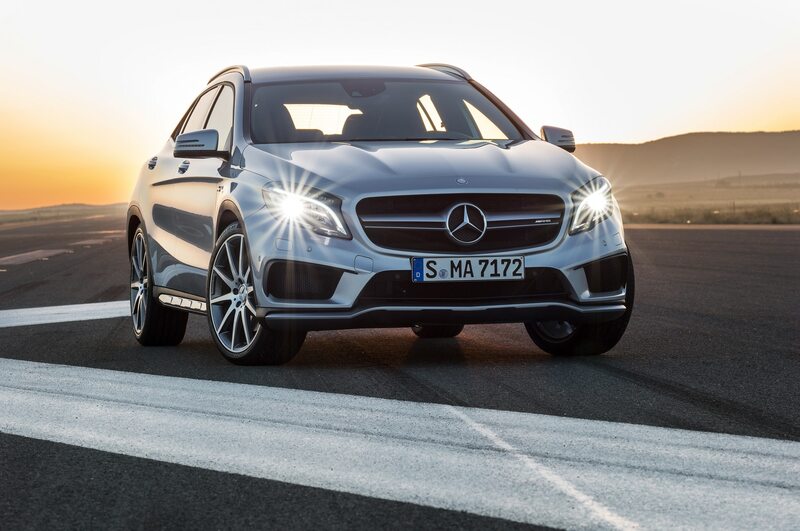 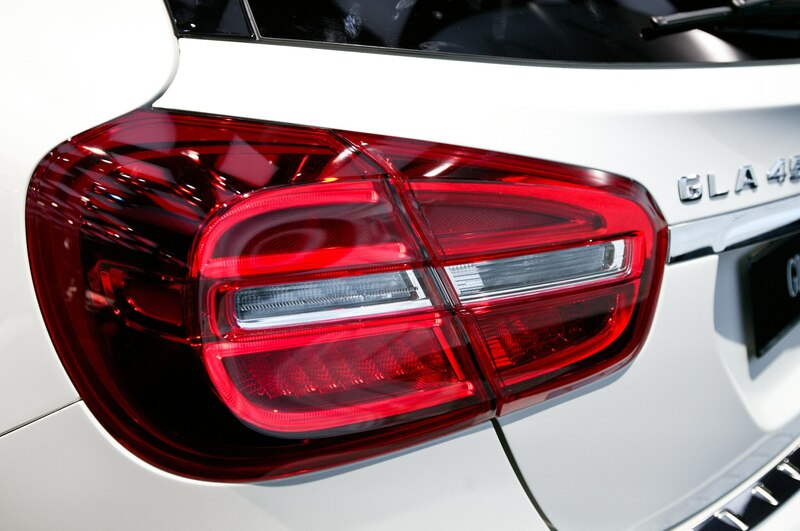 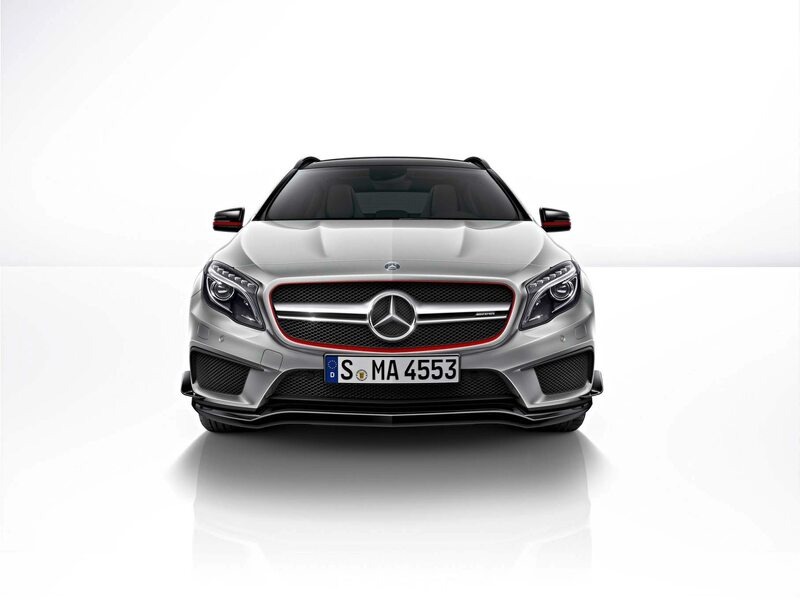 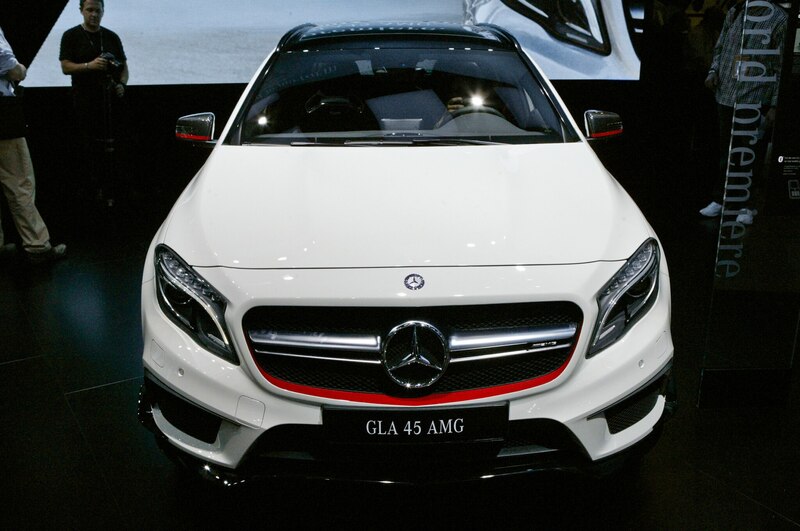 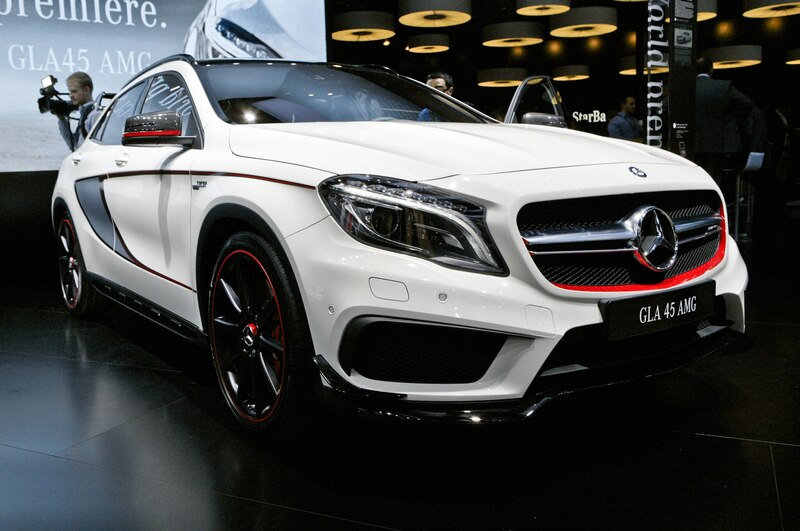 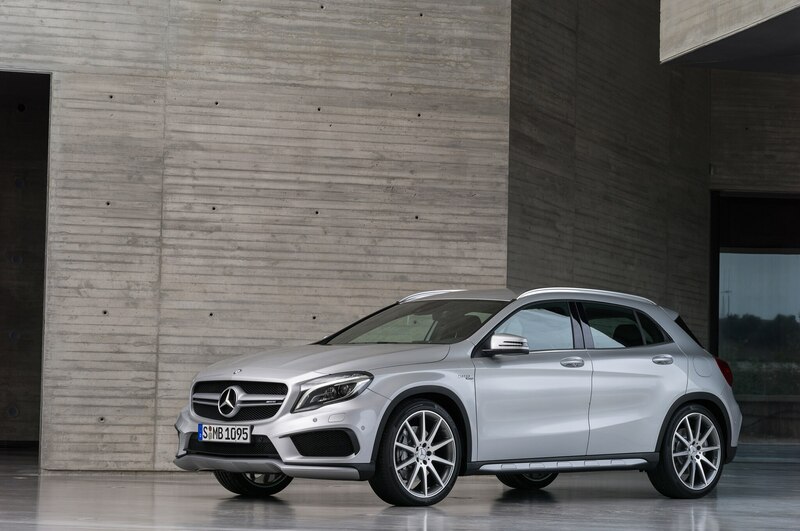 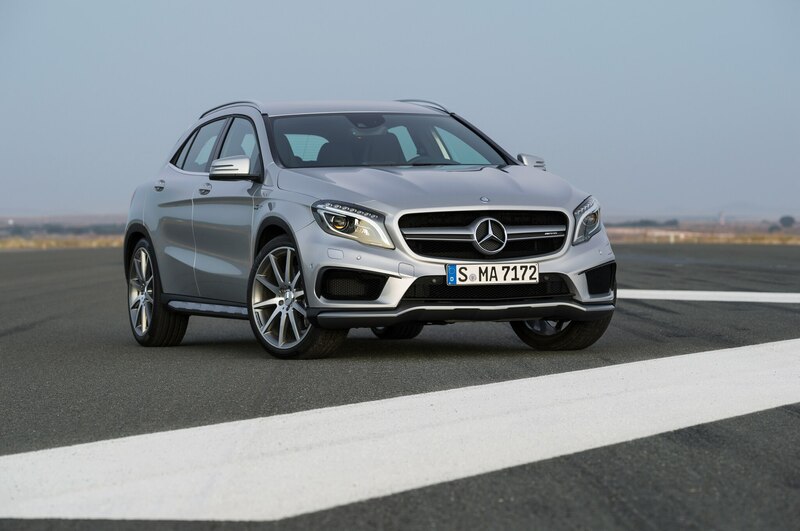 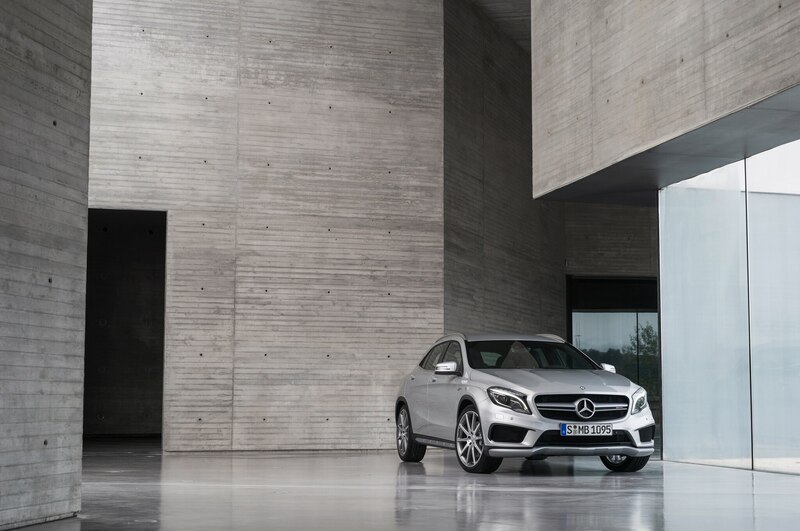 Let the 2015 Mercedes-Benz GLA45 AMG take care of that. 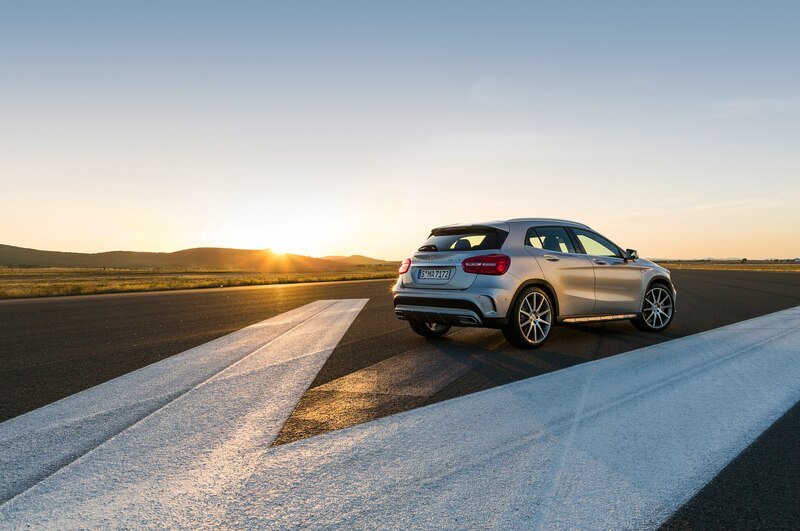 But despite its 355-hp engine, all-wheel drive, and five-door body, this high-powered baby Benz still has us scratching our heads. 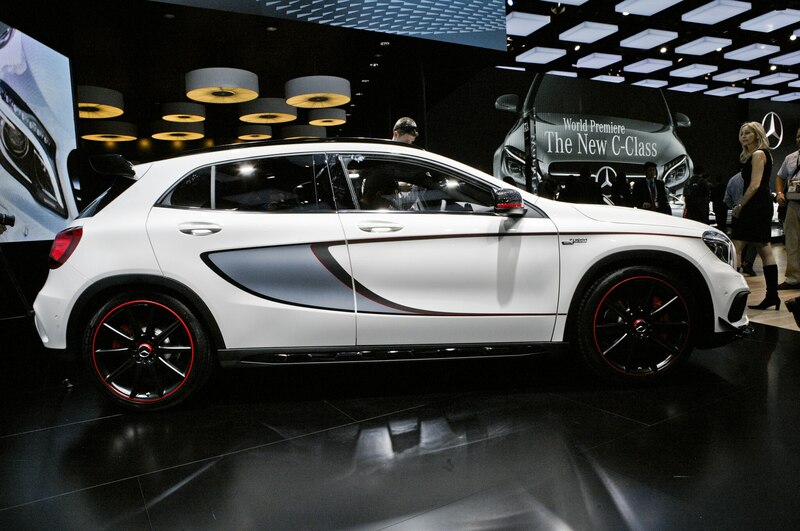 It’s not so much what this car is, but rather why this car is. 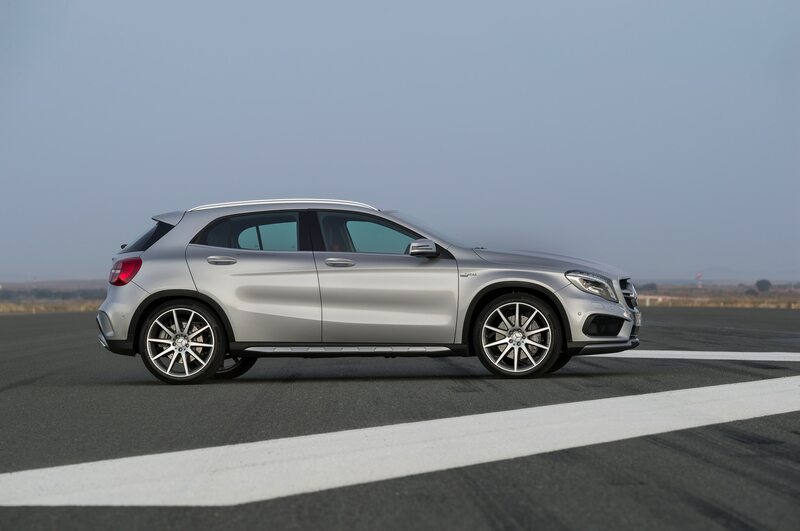 That’s what Mercedes-Benz and AMG had to be thinking when they stuffed this 2.0-liter turbo inline-four into their entry-level crossover. 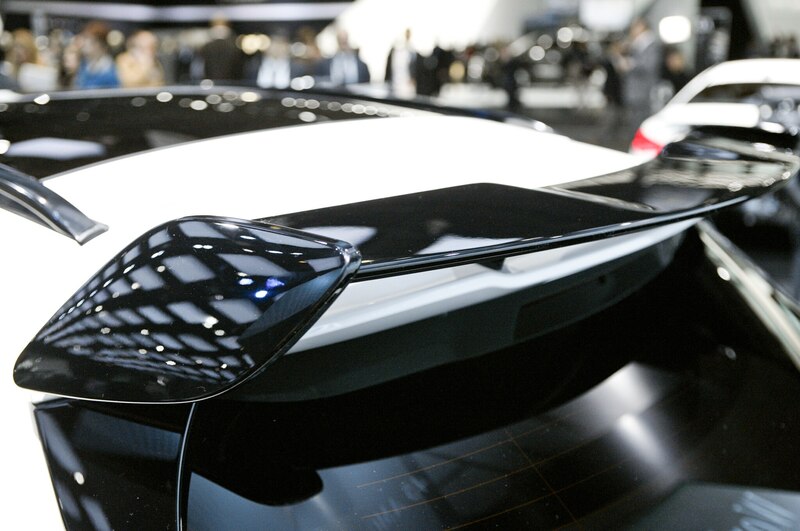 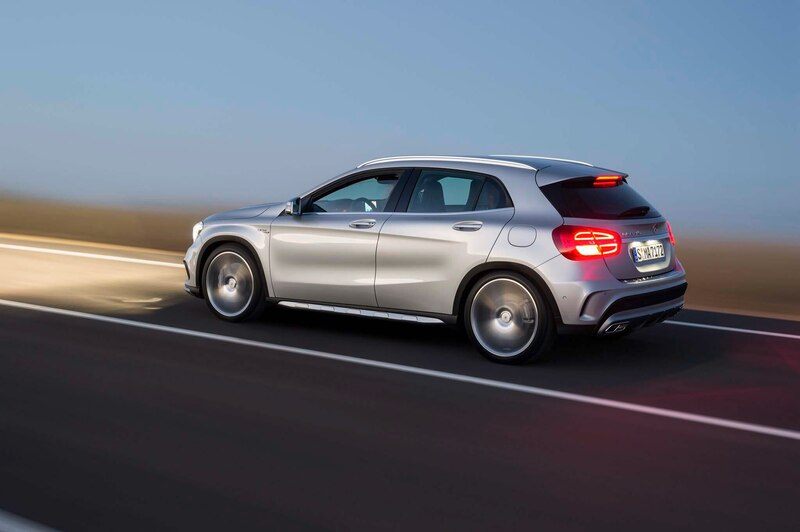 After all, if you’re going to step into the hottest segment in the industry — small luxury crossovers — it’s a wise leap to spring for an even hotter variant. 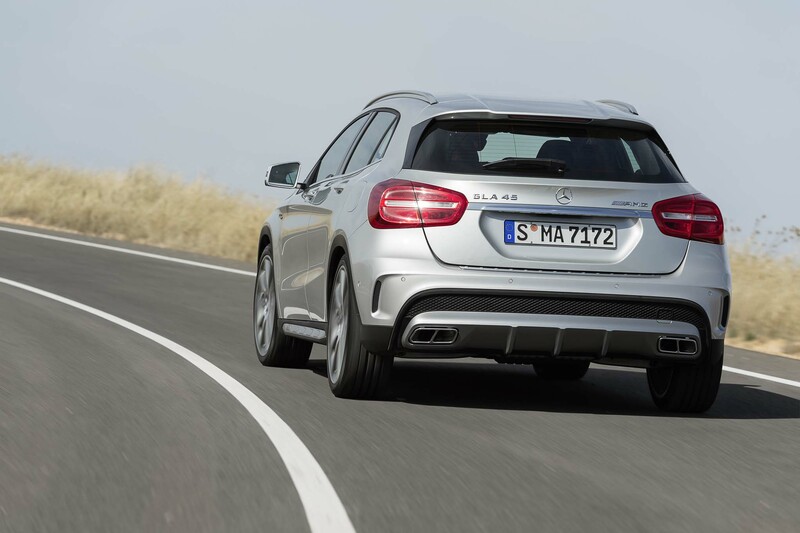 We’re thrilled they did, because the GLA transforms into full-on beast mode from its bargain-priced family car identity. 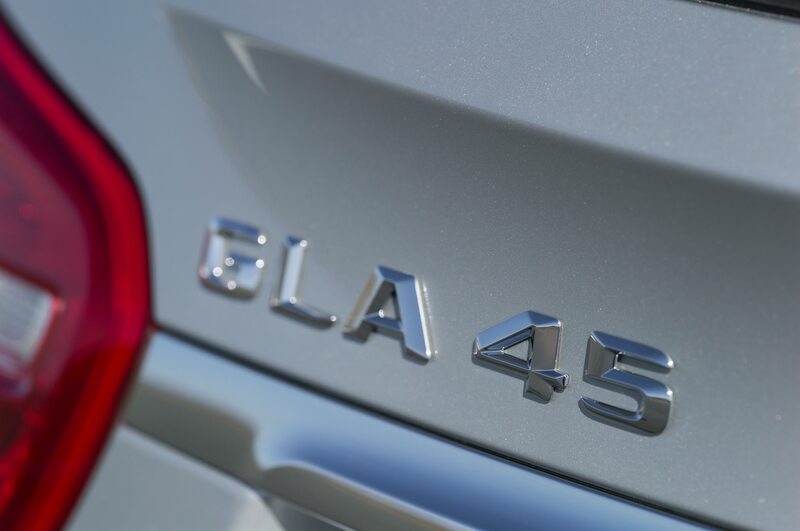 But if you manage to escape civilization, get ready to let all of the GLA’s shortcomings evaporate. 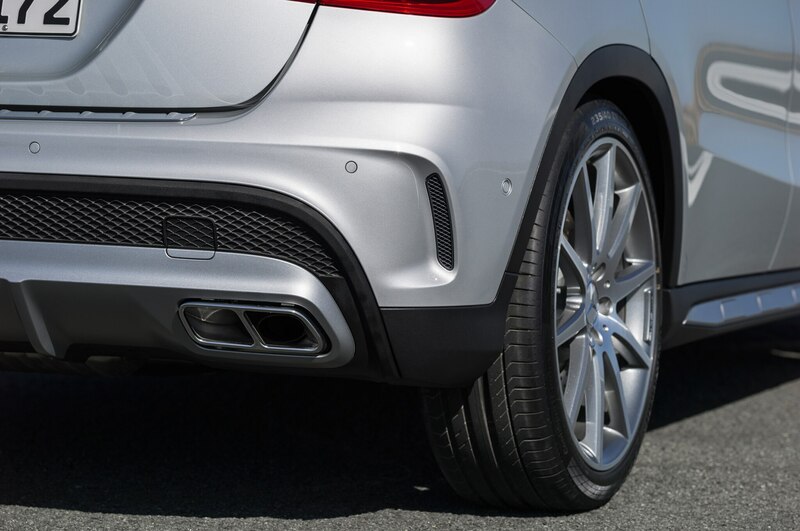 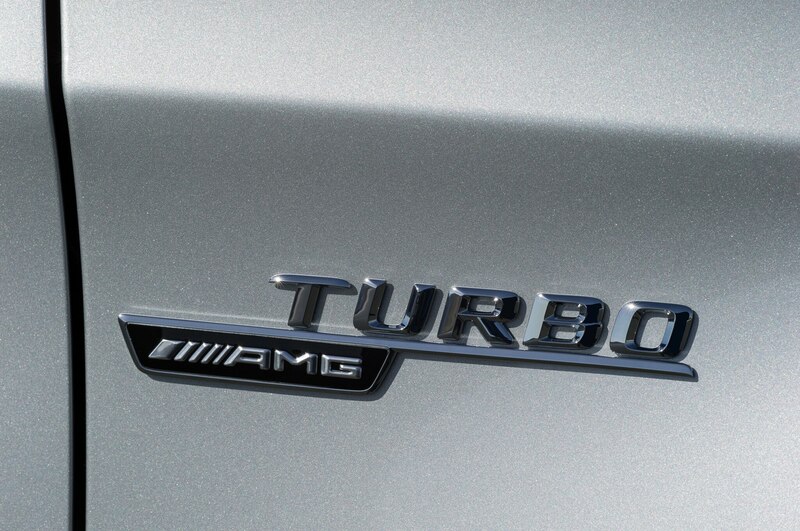 The burbling, absurd exhaust note forces you to grin like an idiot, making you forget about things like sticker prices. 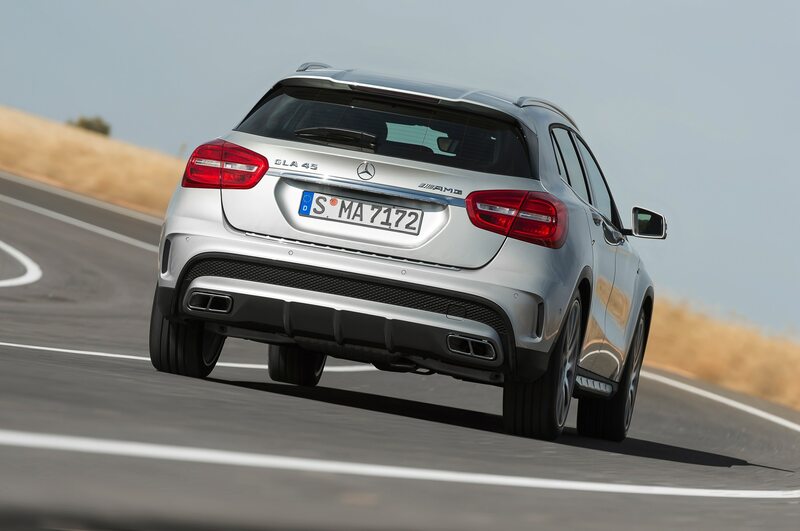 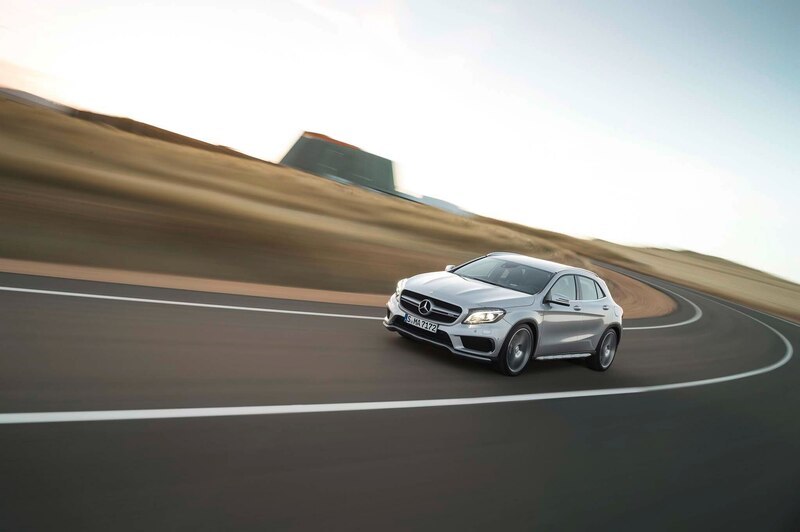 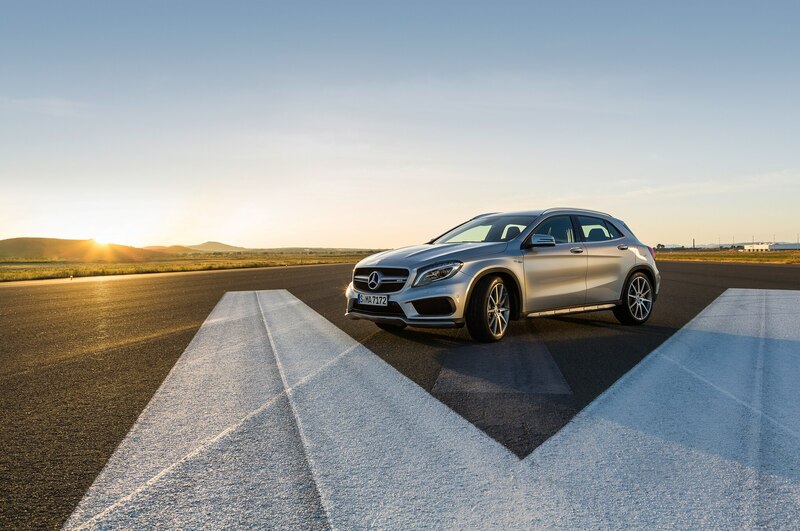 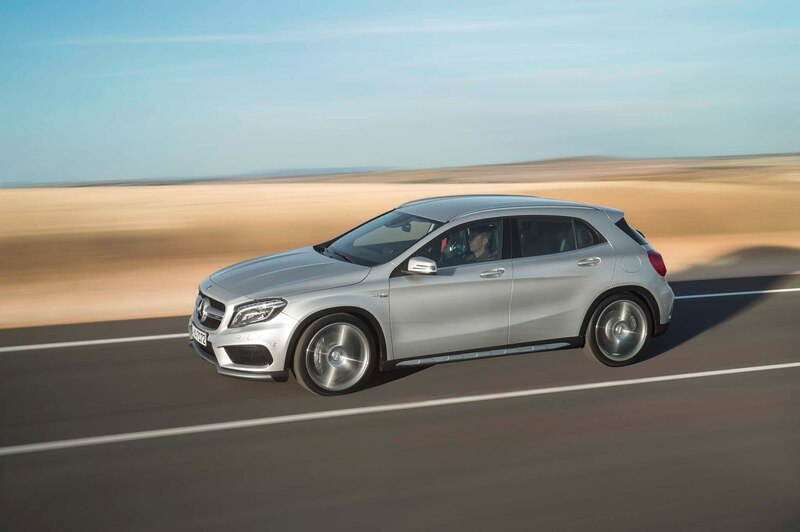 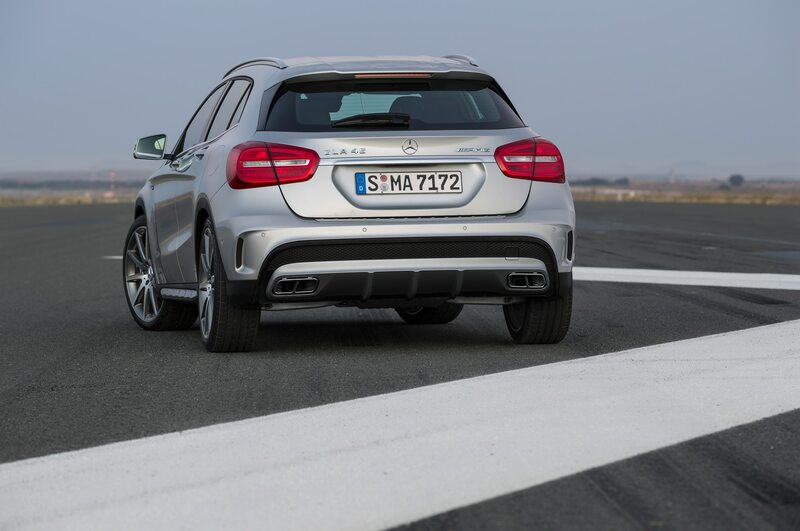 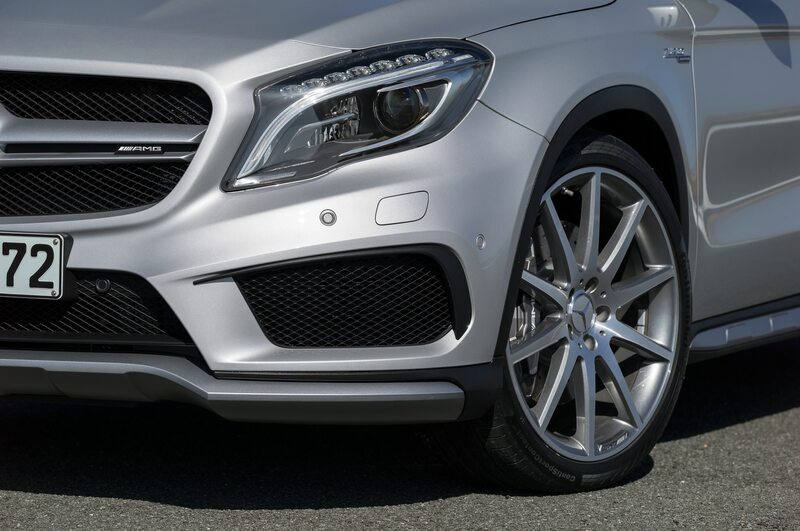 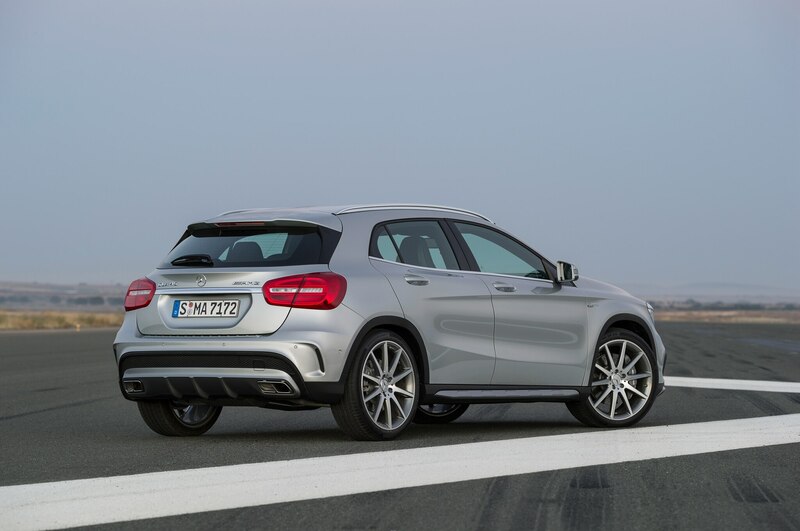 The GLA45 steers, handles, and brakes far more confidently than you’d expect. 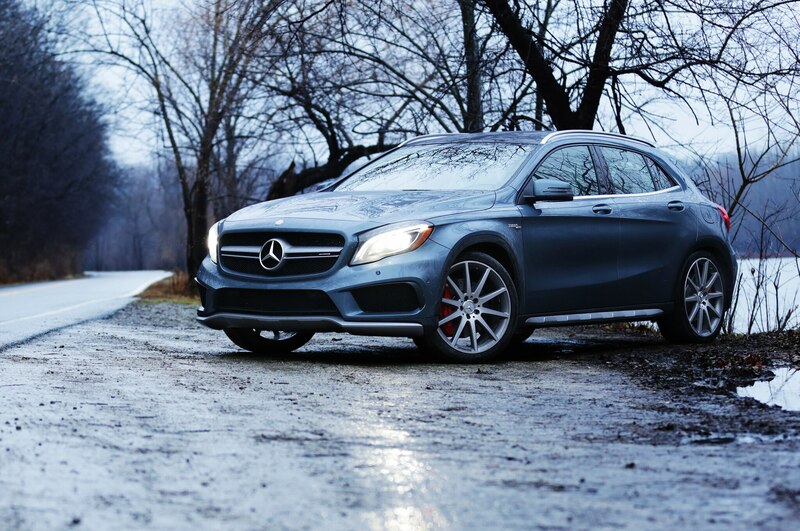 Nasty weather and dirt roads are also no obstacle with the torque vectoring 4Matic all-wheel-drive system finding traction. 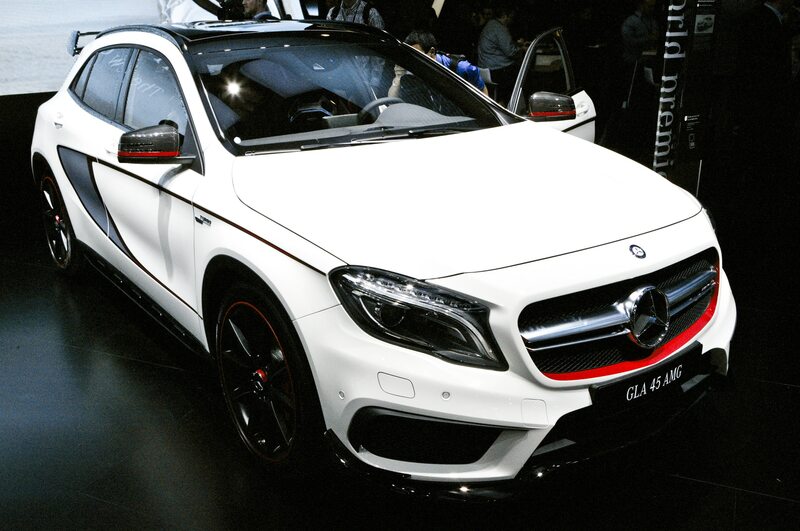 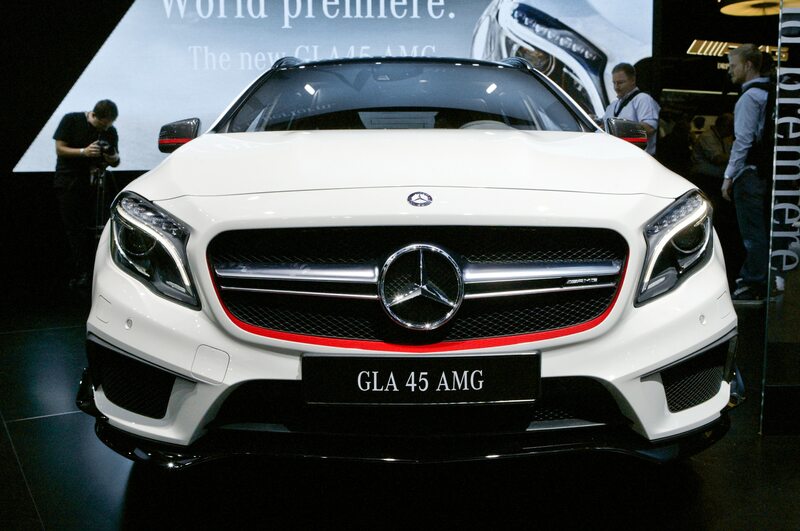 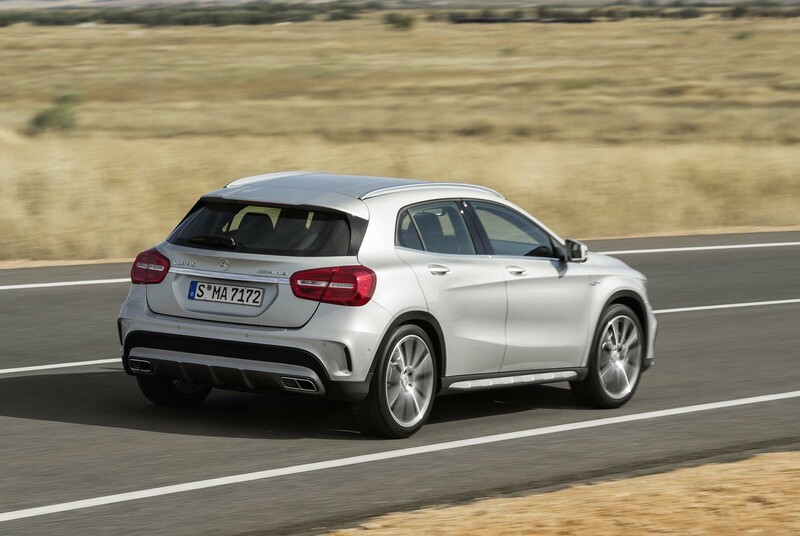 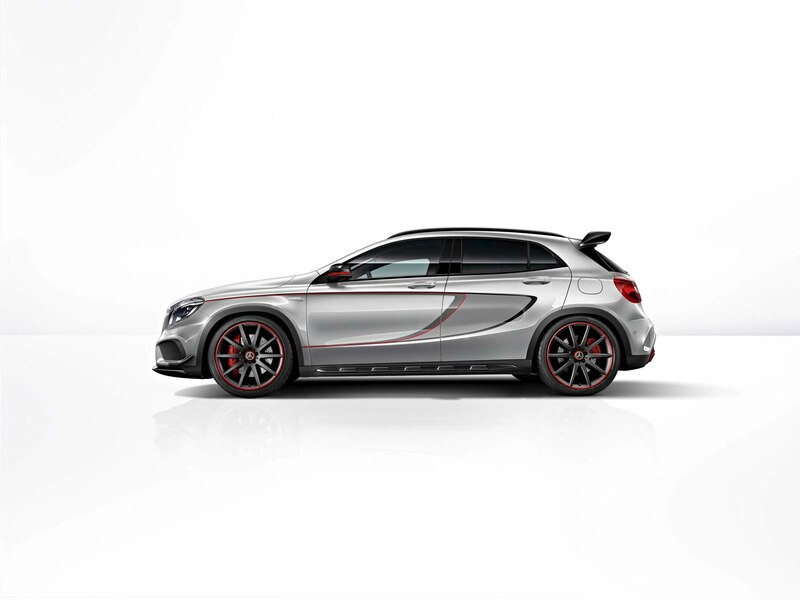 Yes, the 2015 Mercedes-Benz GLA 45 AMG is 0.4 second slower from 0 to 60 mph than its CLA45 AMG sibling. 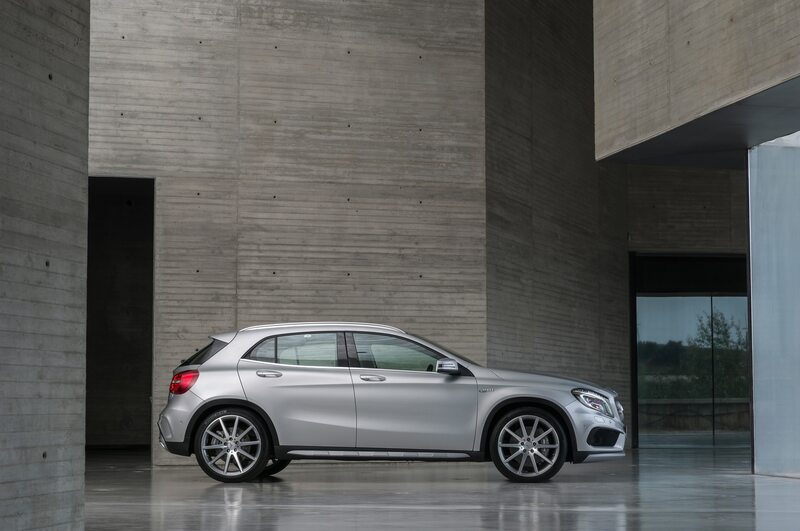 It’s also brimming with style and character, and it’s more usable day to day than the cramped CLA sedan. 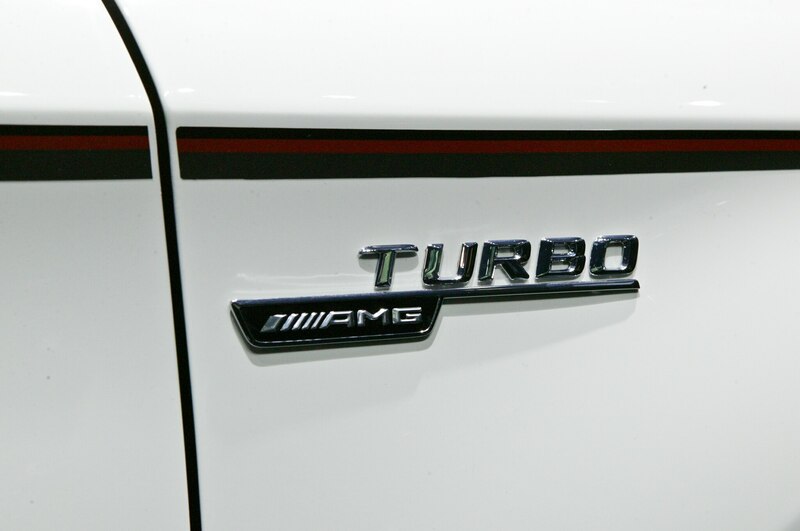 The lofty sticker price seems like a tough bullet to bite, but there are AMG crazies out there for whom cost is no object. 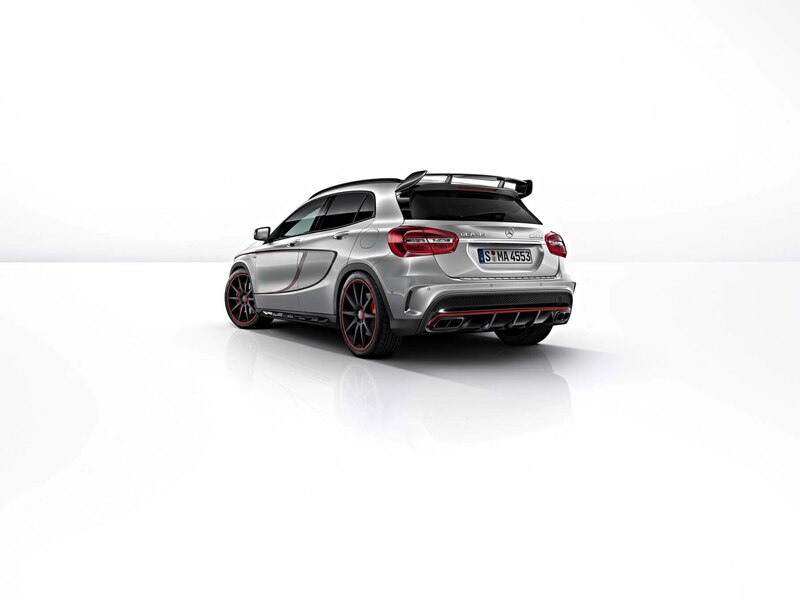 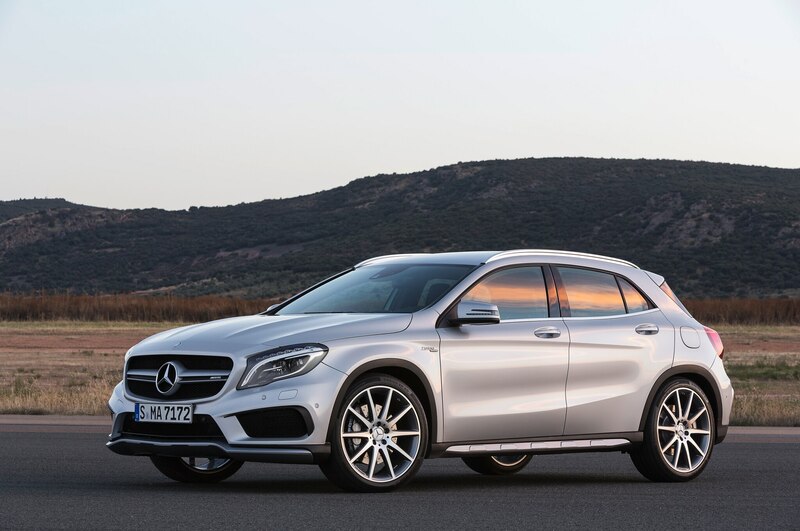 For those buyers, the harsh reality is that the 2015 Mercedes-Benz GLA45 AMG will rarely escape private-school parking lots and Bikram hot-yoga studios. 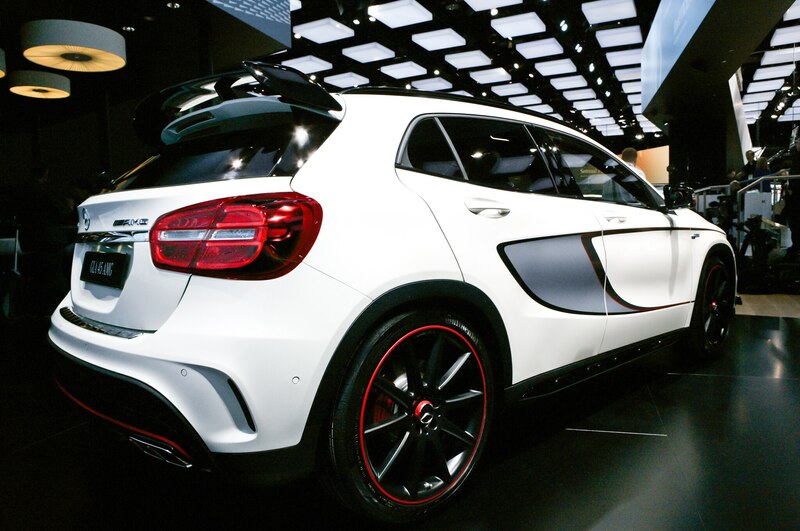 And it’s a shame because, given the proper setting, the GLA45’s why-the-hell-not attitude hits its boiling point. 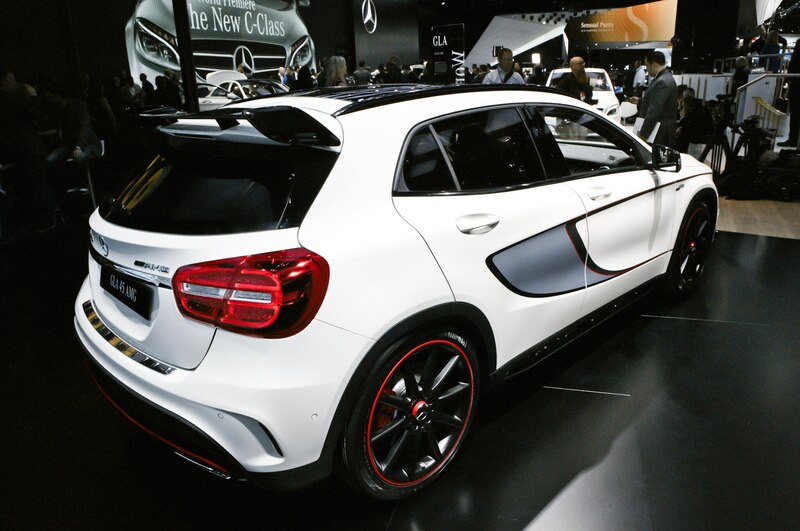 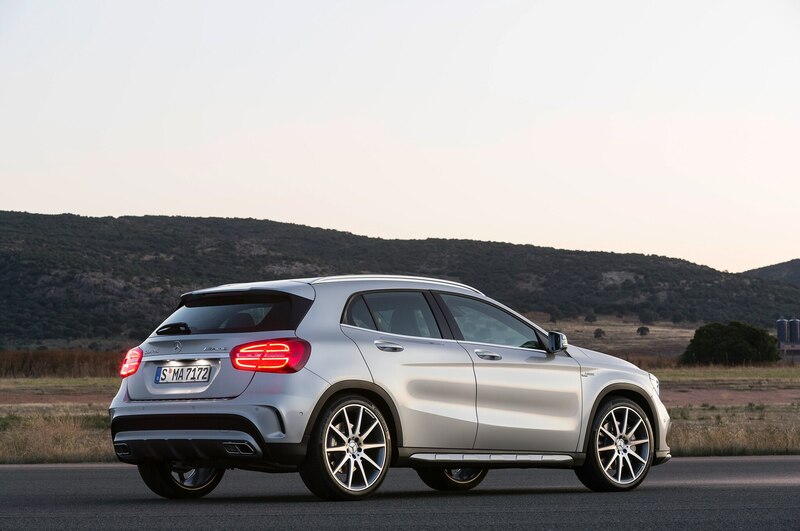 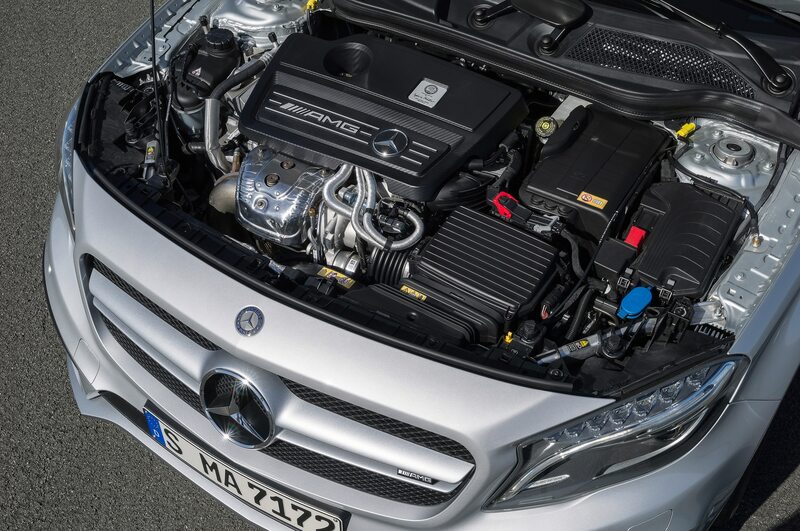 We just wish Benz had dialed it back in city traffic, where the GLA45 boils over. 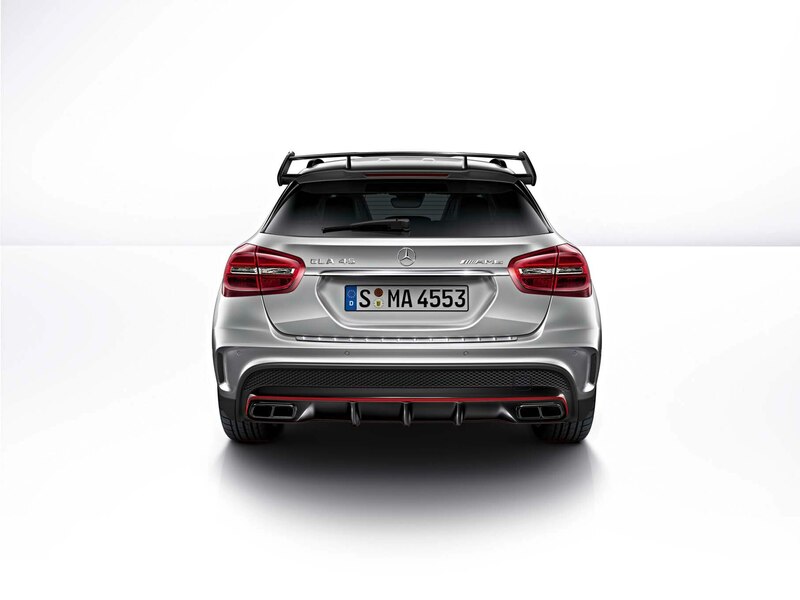 0-to-60 times drop by almost 0.5 second.